Michelle Karvinen scored twice and Noora Raty was excellent in goal as Finland beat OAR 5-1 to close out the women's round robin. The Finns cofed three goals with the extra man. "I think it’s important to get the goals," said Karvinen of her team's outburst today. "We wanted to have a good feeling going into the quarter-finals and know we could score goals, especially on the power play. Overall, five goals in a game is really good." The result means that the Finns finish third in Group A with a win and two losses and will face Sweden in one quarter-finals on Saturday. The Swiss will play the OAR in the other. 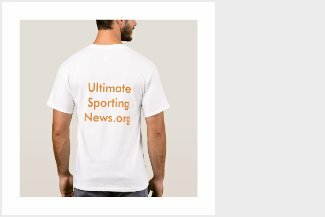 That first winner will then play the United States in the semi-finals while the Swiss-OAR survivor will take on Canada. "Sweden is always a little bit of a rival," Karvinen continued. "They’re a tough team. They work really hard, and it’s going to be a challenge for us. We can’t really worry too much about what we’ve done so far in the tournament. It doesn’t really matter now. We experienced that in Sochi. We’re really well prepared and we know what we need to do." The OAR's scoring woes continued today. In three preliminary-round games they scored but once while giving up five goals each game, a fact that led directly to their 0-3 record. "Scoring the first goal was always going to be important against them," OAR forward Anna Shokhina said, "but fortune wasn’t on our side. They managed to get it, and we took too many penalties." To be fair, they played their best period of the tournament in the first this afternoon, but Noora Raty was rock solid in the Finland goal when she had to be. Be that as it may, some scoring touch and finish around the Suomi net would have gone a long way to change the result of this game. Case in point, Yelena Dergachyova, who had a clean break but couldn't beat Raty. The Finns opened the scoring late in the first on the power play. Jenni Hiirikoski made a nice no-look pass to her point partner Michelle Karvinen, and Karvinen's long blast went all the way in at 17:47. They made it 2-0 early in the second on another man advantage. This time it was a perfect pass from Emma Nuutinen from the corner to Karvinen at the top of the crease. She one-timed a quick shot past the pad of Nadezhda Morozova for the goal. Again later in the period the Athletes had ther chances, and again they couldn't get the better of Raty. She stopped a nice tip by Valeria Pavlova and seconds later made two more quick saves from in close, first off Anna Shokhina and then Diana Kanayeva. 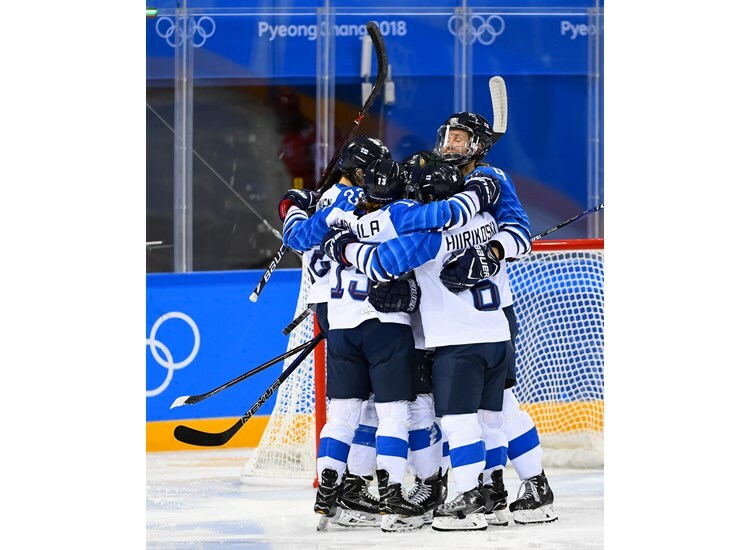 Then, with 51.5 seconds left in the middle 40, Finland got an insurance marker thanks to a sensational play by Riikka Valila, the 44-year-old puck star who shows no signs of slowing down. Shokhina was checked just inside her blue line and Valila claimed the puck. She moved in on goal, deking defenceman Angelina Goncharenko out of her patns and then doing the same to Morozova before roofing a backhand home to make it 3-0. Finally, though, Russia was rewarded for strong play in the offensive end. Lyudmila Belyakova spotted Shokhina open on the far side and made a nice cross-ice pass. Shokhina faked a shot as Raty slid over, then popped the puck in the open net at 4:50. It was OAR's first goal of the preliminary round and saved the team from ignominy. No women's team at the Olympics or Women's Worlds has ever played a round robin of at least three games without scoring at least once. That was as close as they got, though. Minnamari Tuominen wired another power play point shot past Morozova at 12:49 to restore the team's three-goal lead. Petra Nieminen made it 5-1 at 15:33 on a goal similar to Valila's. Nieminen coralled a turnover just inside the OAR blue line, made a great move around Goncharenko again, and beat Morozova with a backhand, putting the game well out of reach.